Artistic designs raked in fine gravel around carefully placed boulders offer peaceful settings for contemplation gardens. 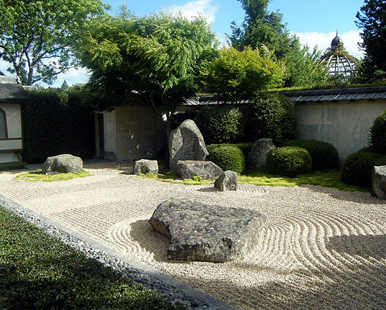 Known as karesansui (pronounced car-uh-san-swee), the dry landscape gardens are a centuries-old tradition in Japan but rare in the United States. 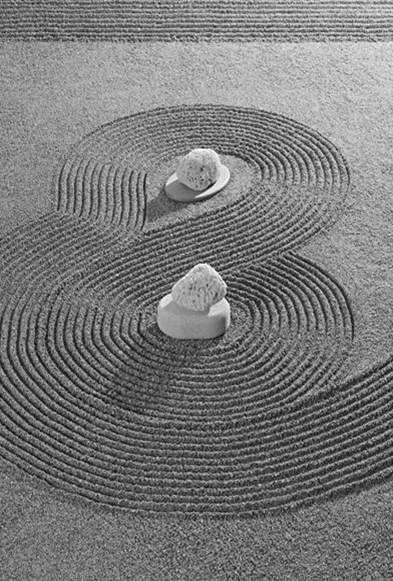 Soon, however, Oak Ridge will have its own karesansui garden. As landscaping begins around the International Friendship Bell Peace Pavilion in Oak Ridge, the Japanese karesansui gardens will lend a distinctive and contemplative element to the Oak Ridge landmark. The karesansui gardens at the Friendship Bell site will be maintained by volunteers who learn the skills to create the designs and maintain the gardens for the city. McKellar will also hold four-hour training sessions for volunteers interested in designing, raking and taking care of the Oak Ridge karesansui gardens on at 1 p.m. Friday, Jan. 25, and at 8:30 a.m. and again at 1:30 p.m. Saturday, Jan. 26.